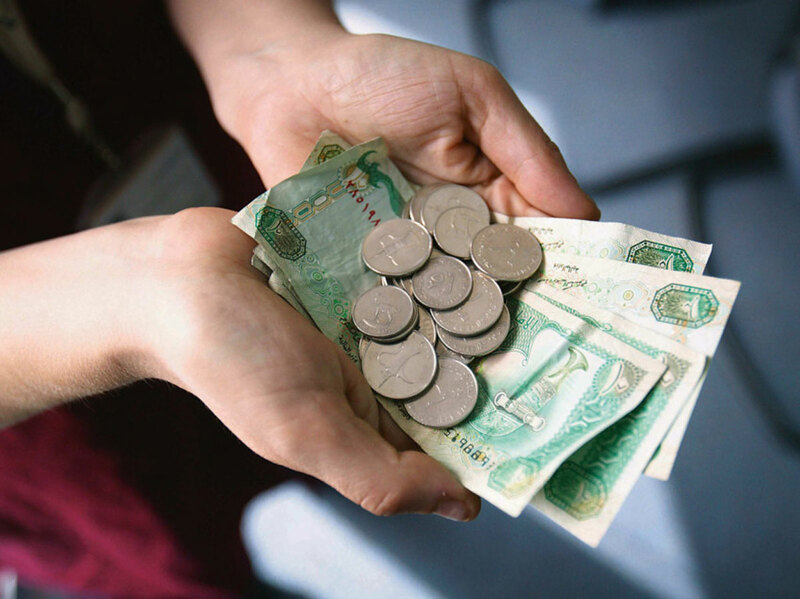 What are the rules of tipping in the UAE? Ending a holiday with a racist rant is not something you schedule into your itinerary; unfortunately, sometimes it happens anyway. A mother-daughter trip a few years ago saw us racing to the Miami airport, huge bags in tow, burly driver at the wheel. We paid our $15-fare plus a $4 tip and got ready to go into the airport. That’s when the grumbles began. Our cab driver, angry that we didn’t tip him enough refused to help us decant the bags from the trunk. To have someone come at you aggressively is bad enough, but when a 6-foot giant leaps and screams at a 5.2-foot woman it’s a jaw-dropping sight. Spluttering and unable to grasp it, we scuttled into the airport. Good riddance to the rudeness and fury that comes along with expressing (not enough aparently) gratitude for doing your job. Goodbye to the racist rant. Sadly, goodbye to the untainted memory of the city. Yes, all that, just for a tip. Something like this would never happen in the UAE. People in the service sector understand that a tip is an added bonus, not a requirement from the customer. The culture in the UAE isn’t like in North America. Sure tipping is common over here, but it is never expected the way it is in the US for example. You would never be treated spitefully here if you don’t tip. Take a city like New York, for example, where servers would sometimes ask you in a very blunt way, why you didn’t leave a tip behind. Some will even follow you out of the restaurant if you leave without tipping. Although tipping is generally a positive way to express delight at good service, the origins of the history of tipping is somewhat complicated. Tipping was something that started in the late Middle Ages. Usually a master would give his servant a few extra coins as a communication of good will. At the time they called tips “vails”. Eventually vails became more and more common. Kerry Segrave, who wrote, Tipping: An American History of Social Gratuities, explains that "by 1760, footmen, valets, and gentleman's servants all expected vails, leading to a great added expense to the guests. The gentry and aristocracy began to complain. An attempt to abolish vails in London in 1764 led to rioting." Today, the expectation for certain professions to receive a tip is a key part of the economy: tips sometimes help support a person’s salary. Most people who receive tips are typically waiters, car washers, delivery boys, beauty technicians, taxi drivers and maids. Whether you should tip or not tip, isn’t exactly related to your own culture, but it’s about the culture of the tip recipient. Some may get offended at the gesture, while others would be grateful. Gulf News spoke to UAE residents about tipping and most people agree that it should not be socially mandatory. And what if the service was exceptionally bad? “Under the circumstance of bad service. That’s when I wouldn’t tip,” he said. Amin mainly tips, waiters, taxi drivers, and valet men. Ali, a Canadian-Lebanese living in Abu Dhabi, tips with a Canadian mentality. “10 per cent if the service is bad and 15 per cent if the service is good,” he told Gulf News. Mohammad on the other hand, never feels obliged to tip, but likes to do so out of kindness. “I know people in service jobs have to deal with customers all day and probably don’t earn too much, so I like to leave a tip. But I will not leave a tip if service is bad,” the Syrian native told Gulf News. “I used to tip,” Tawfiq, a Palestinian resident of Ajman told Gulf News, “until one day, I was at a store in Ajman buying some furniture for a bedroom. I ended up spending Dh4,000. Each person who helped me at the store was expecting a Dh100 tip and I just had to put my foot down. I had literally just spent Dh4,000 at their establishment, so why should I feel obliged to pay an additional service fee?” he said. “In many Arab countries, tipping is sometimes the only way to get around. If you park your car, you tip the parking attendant to keep it safe and scratch-free. If you use a bathroom in any public place, you have to tip the cleaner. If anyone in the airport helps with your bags, you need to pay up, or else they end up handling your bags without care. In many Arab countries, they perceived tips as a god given right. Even if you turn your back, they will wait until you hand them something substantial.” As a result, it seems that many of these Arab workers who moved to the UAE with a background of working in Middle Eastern countries had to change their approach a bit. “It is definitely less aggressive, but many of them still linger and will be extra chatty until you give them something,” he added. Others agree that tipping is hurting the consumer experience. Ahmed, a Canadian-Egyptian, shares a similar mentality. “I am not sure why I should tip someone for just doing their job,” he said. “I think employers need to take good care of their staff, so that they don’t have to linger around costumers when it’s time to pay the bill, so that they can get a tip. When I lived in Canada, waiters and waitresses would usually give substandard service, but when it was time for us to pay the cheque, they suddenly become comedians, or put on a sweet persona, so they can guarantee a good tip.” The practice of tipping lets restaurants get away with paying servers insufficient wages. The social rules of tipping over here are still a bit unclear. Should you tip your hairdresser? And is it the same tip you would give a nail technician or the woman who threads eyebrows? What about the guy who washes your car, or takes away your trash? What about petrol attendants? By law, you do not have to tip. There's no law in the UAE that says you have to give anyone an additional gratuity. Back in 2010 restaurants across the UAE were asked to withdraw service charges, abiding by the directive issued by the Ministry of Economy that the practice of imposing a service charge on food bills is illegal. At the time almost 10 years ago, some restaurants were charging up to 20 per cent of the bill as a service charge. The Ministry ruled that it is against the consumer protection law number 26. However, if the restaurant is attached to a hotel or located in a special zone, it can still legally charge a 10 per cent fee. Customers dining at such restaurants are sometimes taken aback when handed their bill as they are not aware of the details of the rules governing the extra charge. The Department of Economic Development (DED), which oversees trade in Dubai, has again clarified the situation for customers. So all in all, a service charge in the UAE is illegal unless the restaurant in question is part of a hotel premises, in which case the applicable service charge is 10 per cent as per Dubai Municipality regulations. Ask friends, coworkers or neighbours about the prevailing culture of tipping: When would your tip be expected, for which services, and how much. In addition, ask about what services tips are not required. Observe what others do and follow suit. When you have sufficient time ahead of a service, research the answer. Try to understand body language as well. In some places, a service provider, like a plumber or electrician, who lingers after a service is completed could be expecting a tip. In other places, it is just a sign of respect to ensure your questions about service are fully answered. In fact, many service providers, especially those who run their own small businesses, may bundle gratuity into their original quotes. For other services, like at restaurants, know the amount of tip as a percentage of the cost. Because if in a new place, you might not have a good sense of the currency value. And if wanting to earn a good tipper status is a priority, be sure to get the percentage right. Finally, balance what is heard about the right tipping model with your own approach to tipping. Remember, even where tipping is expected, a foreigner or visitor might still be excused for not doing so. Regardless where you go and even if in a country where corruption is rampant, don’t try to tip civil servants or police officials. Anything that can be taken as a bribe can land one in jail. In most corrupt systems, there are unwritten codes for whom to tip, how and when. If unfamiliar with how this works, you might offend someone. In addition, no one will want to participate or encourage unethical, illegal conduct. At many places, gratuity is included in the price to avoid any misunderstanding. In other situations, it is not. When getting a service like a haircut, check the fine print to know what the price includes. This will help if you are expected to pay extra for gratuity or not. Tips and gratuity indicate satisfaction with the services — so don’t feel obliged to tip if you are not. While cash is king, think of other ways to thank for excellent service. Many service providers, like drivers and contractors, try to build their online reviews. Taking the time to enter a positive review can be highly appreciated — and it won’t strain your budget. Similarly, gifts can be less awkward than cash for professionals, like teachers. A nice gesture of appreciation can come in many forms, so don’t be limited to paying money. In fact, sending a “Thank You” card to a service provider can make this person’s day. Many go above and beyond, but they don’t get the recognition they deserve. So in cases where one is unsure when tipping is appropriate, think of these alternatives. So, finally... who should you tip and how much? At the end of the day it is your choice. Since we are in the UAE, most people do not expect a tip and cannot say anything to you if you do not tip them. If you are planning on tipping, then account for 10 per cent of the final bill or 15 per cent if you thought the service was exceptional. Bear in mind that some people, no matter what our principles are about tipping, do not earn enough money to live comfortably, and actually send a huge percentage of that money home. Even if you do not like to tip, if you feel like you have a privileged live, then go ahead and add an extra Dh5, Dh10 or Dh20 to your bill to make a difference in someone's life.